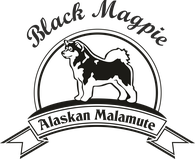 Joy from Bördeland - blackmagpie-alaskanmalamutes Webseite! Joy is our first Alaskan Malamute, she joined us in spring 2014. From the first day on, everyone who came close to her feels compelled to pet her. That's how it is still today, as soon as someone, no matter if foreign or friend, approaches her she throws herself down and calls "pet me". She is the typical family dog that can sleep all day long. 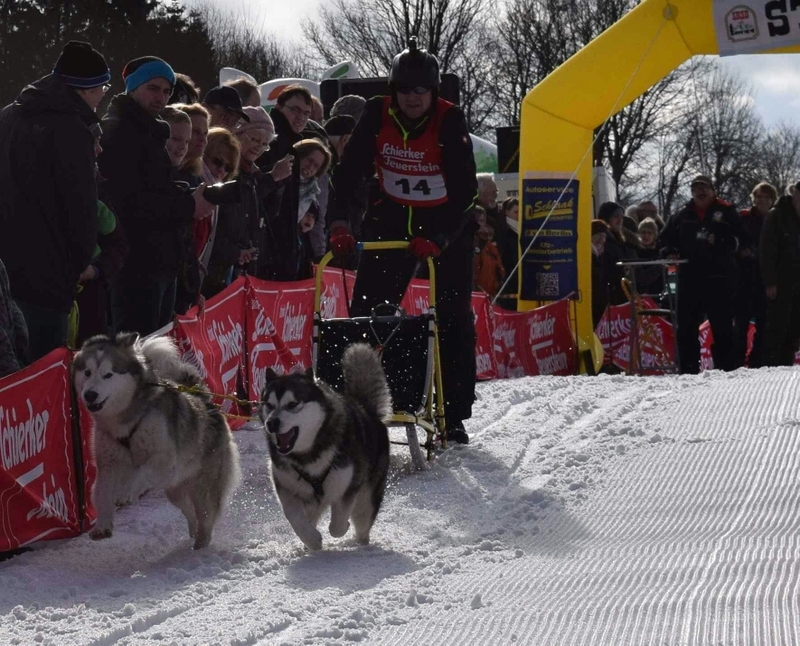 She still does not know that she is a sled dog, although she has already passed several kilometers. This girl also encouraged us to bring another Malamute to the family. 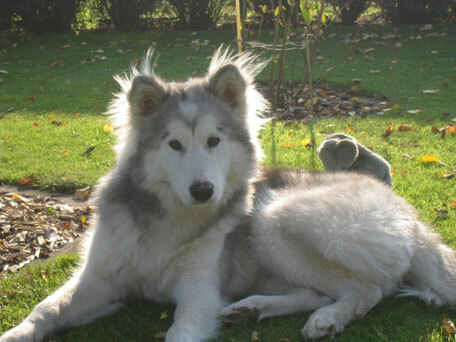 Joy is a very intelligent malamute, she leads the pack with calmness and consistency and tries to avoid any conflict. The other four-legged friends can learn a lot from her. Actually, she would be the ideal leader for our team, she reacts quickly and confidently to commands, is up to the mark in terms of fitness and speed. But she does not see any real meaning in pulling the two-legged to each and every place. She enjoys the beautiful scenery and during the race she preferably likes to welcome each spectator personally. Joy is unique, we are proud to have her in the pack.